What Are the Dangers of Sun Exposure? It might feel good to be in the sun, but golfers should take precautions. 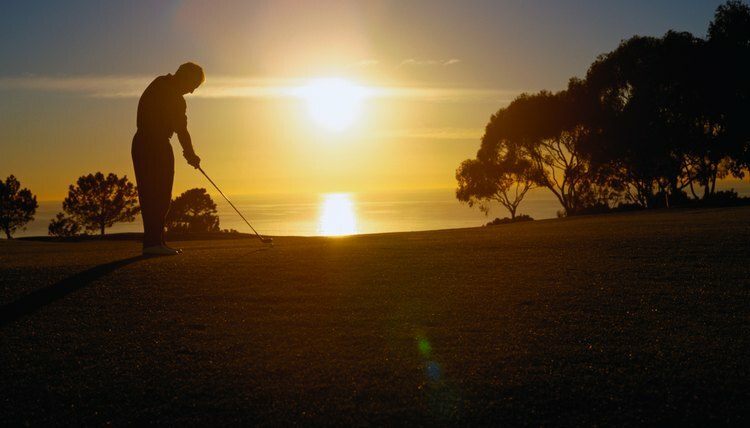 Exposure to the sun can be a real danger for golfers, who spend an abundant amount of time outside. Given that a round of golf can take four hours or more–and that most golfers also use the putting green or driving range before they tee off–there is ample opportunity for golfers to get sunburn or other harmful effects that result from the sun. Sunburn is one of the most common conditions associated with sun exposure. It causes the skin to become red and painful to the touch. Severe sunburn can cause blisters, chills or fevers. One of the leading risk factors for skin cancer is multiple sunburns. Though children and teenagers are most at risk for cancer because of multiple sunburns, adults also should take care to protect their skin and avoid sunburn. White blood cells help fight disease in humans, but sunburn can alter the way these cells are distributed and impair their normal function for a day after sun exposure. Although the harm to white blood cells and the immune system from a single sun exposure is generally localized in the area where the exposure occurred, repeated burns can cause damage that lasts longer. Prolonged exposure to bright sunlight can cause headaches, or migraine headaches that last for as long as a day. Headaches are one of the first symptoms of one of the common conditions associated with sun exposure–dehydration. Skin that has been exposed to the sun over and over for long periods can become thick and leathery. Sun exposure also is a common cause of wrinkles and premature skin aging. Over a person's lifetime, the skin is bound to change because of sun exposure. Protecting it can help delay or minimize the effects. Skin cancer is one of the most frequently diagnosed forms of cancer,due in large part to repeated exposure to the sun. If skin cancer is diagnosed early, it is nearly always curable. But skin cancer can be fatal. Two of the most common forms of skin cancer are basal cell carcinoma and squamous cell carcinoma. Both are capable of spreading cancer to other areas of the body and can lead to disfigurement. Melanoma, the most serious form of skin cancer, can be fatal. Particularly severe cases of sunburn often are accompanied by blisters. When these blisters pop, it creates an opening in an already damaged part of the skin that can lead to bacterial infection. The sun can be harmful to eyes because it can damage the retina or the lens, which helps your eyes focus on objects. Degeneration of the lens can lead to cataracts, which cause blurred vision. Cataracts can lead to blindness but can be treated with surgery.